Lakeland Veterinarian Dr. Gail Nichols and her husband/co-defendant, Paul Smith, have been arrested again on an animal cruelty charge. Smith was arrested Wednesday, November 1, and Nichols was arrested Thursday, November 2. 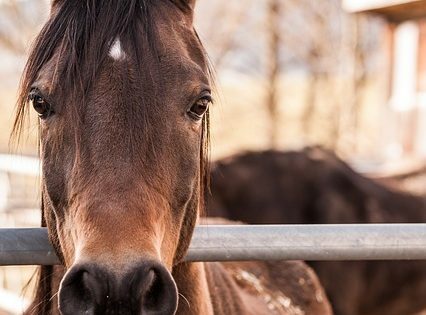 The charge is as a result of the subsequent medical discovery of an untreated horse that suffered under their care prior to their August 22, 2017 arrest. On Thursday, August 17, 2017, Polk County Sheriff’s Office Agricultural Crimes detectives began an investigation of animal neglect and animal cruelty that revealed 66-year-old Dr. Gail Nichols and her husband/co-defendant, 74-year-old Paul Smith, of Lakeland, confined animals belonging to them and failed to supply the animals with necessary medical and basic care causing the animals to suffer as a result. On Tuesday, August 22, 2017, Polk County Sheriff’s Office Agricultural Crimes detectives arrested Nichols and Smith. Multiple animals were seized from the two owners. While in the care of the Polk County Animal Control, a medical evaluation and routine maintenance of dental care by a veterinarian revealed a severe infection and an overgrown tooth in horse #25. The overgrown bottom tooth pushed the top tooth into the horse’s nasal cavity causing a large gap/cavity (fistula). Once the top tooth was removed a second infection and cavity was found next to the removed tooth that was packed with feed and infection that with flushing poured out through the horse’s nose. Investigation and medical reports by Dr. K. Hennessy and dental equine specialist Dr. John Bivens determined the animal suffered significantly with pain due to this untreated medical issue and infection that was chronic and long-term that occurred during the time Nichols and Smith where supposed to been caring for the animal. The extent of the damage revealed the animal was neglected and denied basic care by the owners. The medical issue could have been found and treated with routine care. In late October, 2017, detectives met with the State Attorney’s Office (10th Judicial Circuit, Brian Haas, State Attorney), and presented the facts regarding the animal cruelty for review. A capias was issued by the S.A.O. on Wednesday, November 1, 2017, and Paul Smith was arrested and transported to Polk County Jail without incident. On Thursday, November 2, 2017, Gail Nichols was booked into Polk County Jail. Both Smith and Nichols have since bonded out. With the exception of two family dogs that have been released back to Nichols and Smith, the rest of the animals have been awarded to PCSO per court order. Permanent custody of the animals will be determined by the civil court. Due to regular veterinary care at PCSO Animal Control, health conditions of these animals are continuing to improve.